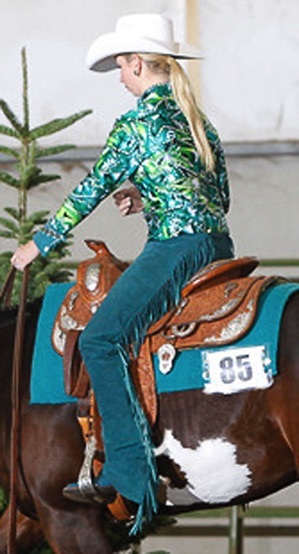 Don’t forget that a complete horse show outfit needs a pair of matching chaps. I have over 75 colors available in ultra suede, pig suede, cow suede, and smooth cowhide. 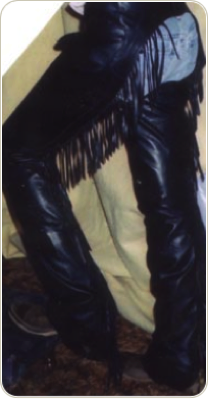 All suede chaps are $250.00, smooth are $300. Plain front buckle plus your choice of a single or double leather concho in back and fringe or scallops. Silver options can be added at cost.